If you are in NY, you probably saw humans flying in the sky over the city’s bridges. It’s an exciting concept, but I’m not sure I can comment how people reacted after seeing human planes. Were they scared or did they believe it was some flying angel or they were jealous that why they didn’t get an opportunity like this? In reality they are not real humans, but human shaped RC planes to create an illusion that humans are flying. I’m not sure they actually imagined that this is a campaign for a movie where teenagers crush cars with their minds. Yet it is not really sure that what is the purpose for this video, but surely it seems probable that this video is part of the viral marketing campaign promoting the new movie Chronicle. Cher, a famous pop-singer recently became a victim of Twitter death. A rumor spread of Twitter of the death of Cher and apparently a sick joke on the celebrity got out of hand. 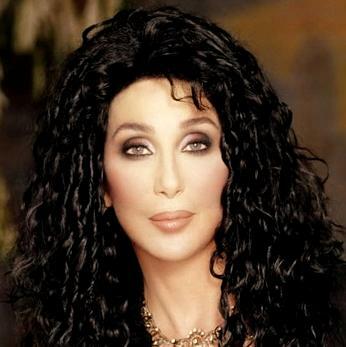 If you see Twitter, “RIP Cher” is one of the trending topics and only a cause of further shame. It is surprising how a social media website can even declare a living person dead and even get so much popularity. Instead of letting it down and removing, people are only fueling to this hoax and adding to the misery. Well for those of you who are in doubt, Cher is alive and healthy. It is only a rumor. Nasty pranks such as this are not new, earlier this month, there was a rumor like this about Rihanna’s death. It amazes me to see that how people can easily play pranks such as this and get publicity as well. It is another example of how social media is getting out of our hands and it will be only a matter of time when there would be no control on such websites and rumors. Situation looks gloomier day by day for the fate of social web. For record, there is no humor in writing about death of people who are alive. Please people get some senses and stop playing such pranks! It is a humble request to all the social media users. I certainly am a strong believer of the fact that Social Media can make or break a company’s online reputation. In the latest campaign by McDonald, it was certainly a breaker for them. Looking into the growing popularity of Twitter, McDonald decided to put some cash into their Twitter campaign and buy some Twitter hashtags to promote its use of fresh produce. They inserted paid-for-tweets with hashtag #MeetTheFarmers. “Fingernail in my BigMac once #McDStories, McDonald’s Twitter Hashtag Promtion, Goes Horrible Wrong,” said user @capnmarrrk. “Ordered a McDouble, something in the damn thing chipped my molar. #McDStories,” @PuppyPuncher said. “Hospitalized for food poisoning after eating McDonalds in 1989. Never ate there again and became a Vegetarian. Should have sued #MCDStories,” @Alice_2112 said. “Watching a classmate projectile vomit his food all over the restaurant during a 6th grade trip #McDStories,” @jfsmith23 said. Within an hour’s span, McDonald realized that the campaign had gone horribly wrong and they said that they are planning a change of course. It brings us to thinking, social media is important but it needs to be carefully planned. It is not like SEO or PPC that a generic strategy will work for any industry. You simply cannot follow 10 best practices and hope to achieve miracle in the social world. Words are very important and you need to carefully select them. One wrong word and there would be a hoard of people holding on to that and trying to break your image. #MeetTheFarmers was a good one and was receiving positive response, why would they want to change it and invite users to share their horror stories. Social media is a very enticing platform to talk, you do not realize when to stop and people usually tend to get carried away. It is not your personal chat where you speak anything and everything. This is like chatting publicly, so you need to be really careful as to what you speak and convey. In my opinion this is the first marketing disaster of the year 2012. Let’s see how the year goes. Recently the founder of one of the biggest file sharing website MegaUpload was arrested in New Zealand. United States has been making a lot of efforts to extradite the mastermind who is accused for Internet piracy and money laundering, but all their attempts have been in vain so far. The charges put on him are serious and can take considerable amount of time. According to US authorities, Dotcom’s file sharing site MegaUpload.com has made $175 millions since 2005 by copying and distributing pirated movies, music and videos. However, Dotcom’s lawyers have claimed that the company was simply offering a platform for storage, it has no control on the type of content uploaded by various users. Kim Dotcom, a German national also known as Kim Schmitz, will be held in custody in New Zealand until 22 February ahead of a hearing of a US extradition application. Whatever happens to Dotcom will be decided later by the New Zealand court, but this brings us to question the way content on Internet is rotated. Right now as well there are hundreds of websites that share pirated content and are making a lot of money from it as well. Till how long the government will continue closing down such websites is something to be seen in future. Unless the users take a strong approach and stop posting pirated content, it would be almost impossible for any government to curtail the piracy on the web. For those of you who are interested in showing their marketing skills and coming to limelight have now a grace period to enter into the Marketing Week’s Engage Awards. The entry date has been extended to 31st Jan 2012 now. To know more and make an entry, visit Marketing Week. This platform provides marketers and brands with the biggest marketing partywhich cannot be missed. Visit the website today and submit your entry. Good luck! If you are living in India then you probably have heard of Rajni power and the image that he holds in the cyber space of sms, Internet and web. To promote this image further, WebChutney has come up with a website dedicated to Rajnikanth that runs without Internet, it claims, it runs on Rajni power. You can check it out yourself at www.allaboutrajni.com. Now the website is based on some complicated algorithm, but the concept is great. Since launch, it has been an instant hit. Talk about viral marketing, I see this as one of the best examples. The Ad remained online for an entire day before the company realized what they had done and removed the shot. The company is busy with apologies on Twitter and Facebook. Thousands of people followed NSFW and responded to their comments about the ad. Now, this is a classic example of an ad going viral for being a disaster. The question is whether the company did this deliberately to gain some buzz on the social media or it was a honest mistake? Imagine what the condition would be of the naked man who was flashing in the image… Not a good time, I’m sure.